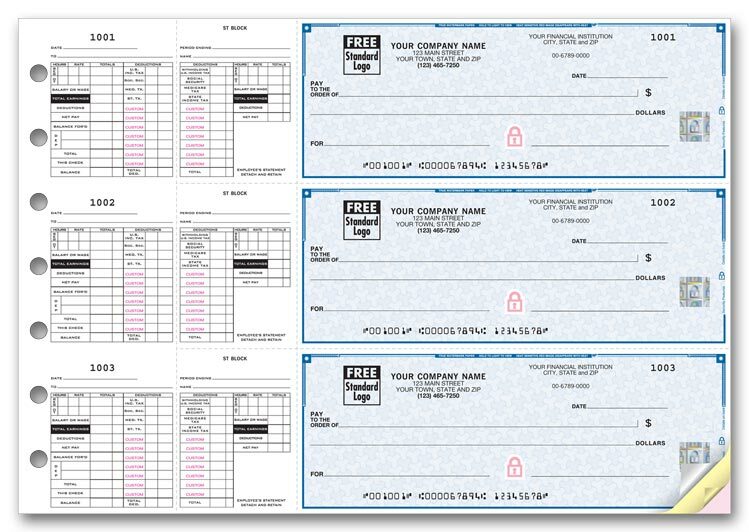 Best-selling side tear business checks simplify recordkeeping for all kinds of payments!These popular 3-to-a-page binder checks help thousands of businesses pay & track expenses easily! 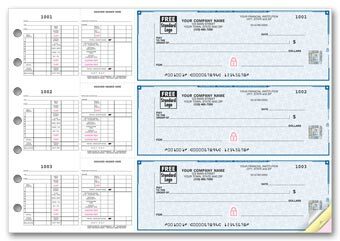 Just copy check details to handy side tear vouchers for a permanent transaction record you can take anywhere. 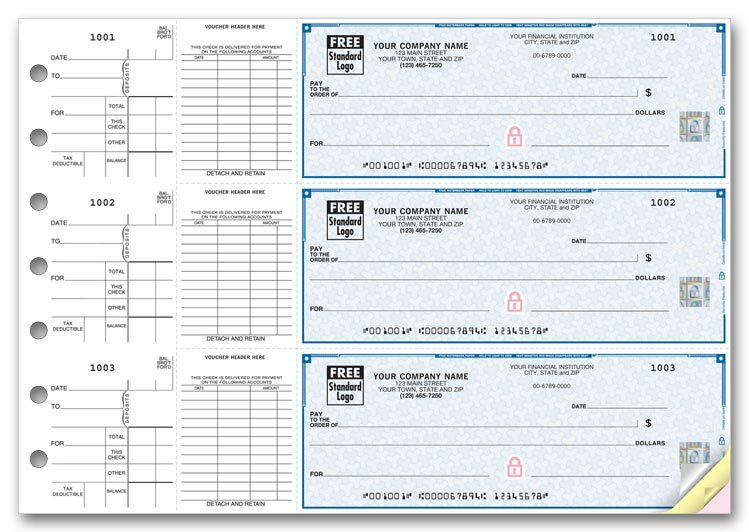 Our industry-best 3-on-a-page business checks allow counter signatures for greater security!Handy end panel provides space for a second signature. These popular 3-on-a-page business checks make it easy to track payment details in 1 convenient place!Our binder checks & vouchers have the room you need for extra details & longer descriptions! 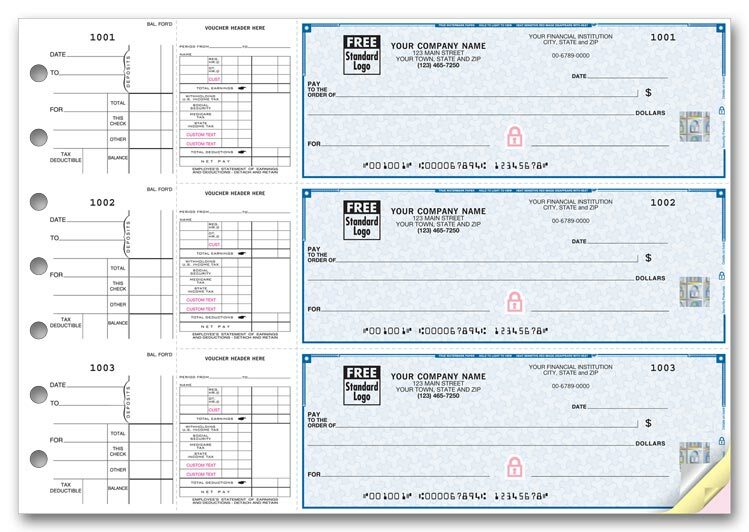 Our affordable 3-on-a-page business checks let you choose the best voucher style for your needs!These empty voucher checks let you track payment details & descriptions your way, in 1 convenient place. 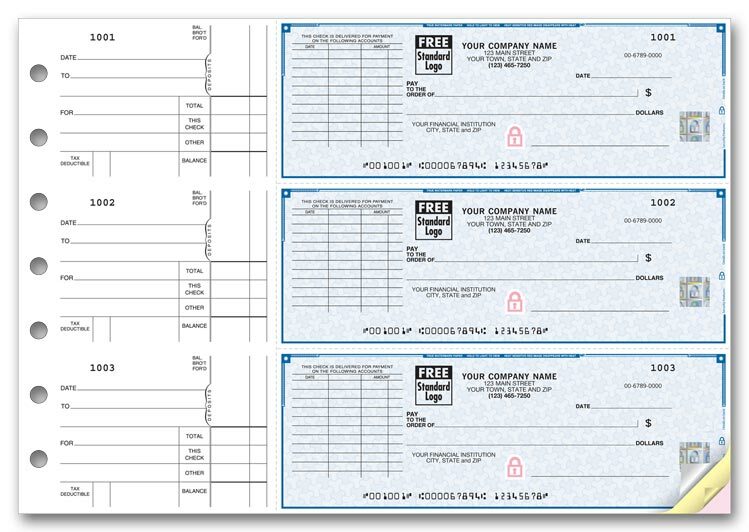 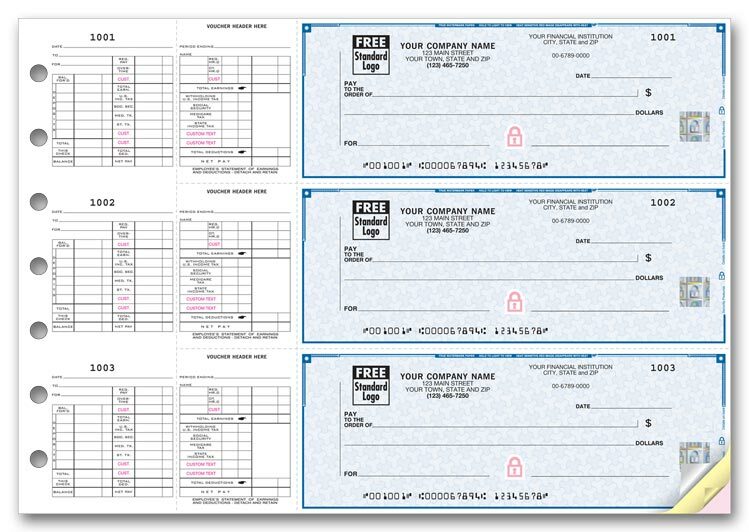 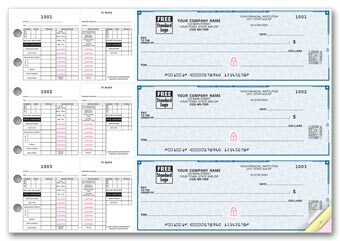 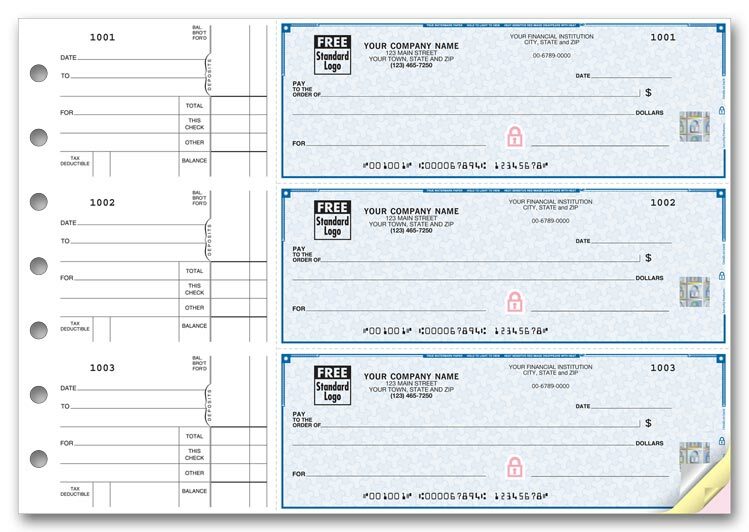 The 3-on-a-page business check that does it all!Double-stub format makes these convenient manual binder checks a great way to manage payroll & general disbursement transactions.Your company name printed on stub for convenience. 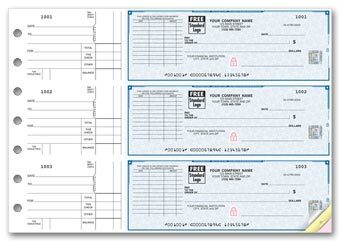 A versatile business check for paying salaried or hourly employees, with maximum deductions & 3-on-a-page convenience!3-on-a-page binder & double-stub check format make it easy to manage payroll transactions. 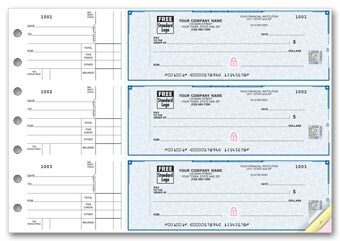 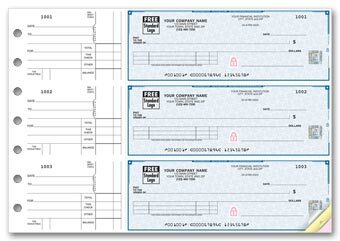 These popular 3-on-a-page business checks are ideal for hourly payroll & general disbursements!Handy deskbook checks include 3 lines for extra deduction captions.